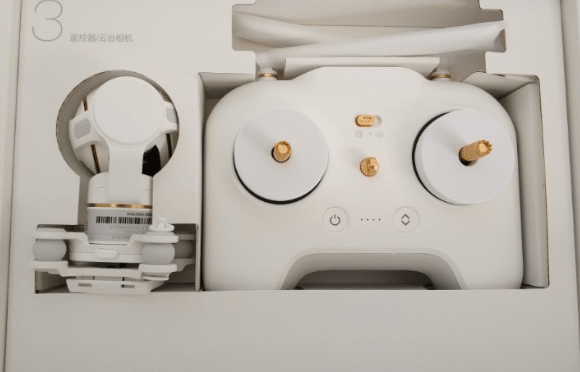 Home / Reviews / Xiaomi Mi 4K Drone – The Most VFM Drone On The Market? 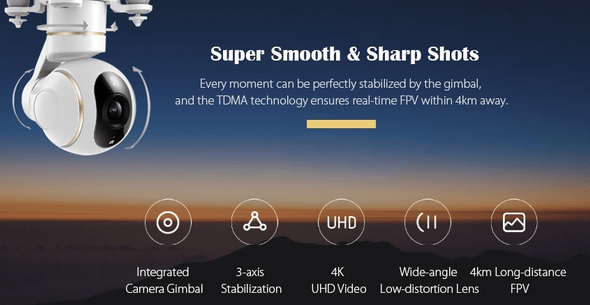 Xiaomi Mi 4K Drone - The Most VFM Drone On The Market? Flying a drone is quite interesting as a hobby, but usually, such devices are used by professional photographers for video recording purposes. Thus, they are somewhat expensive, and most good drones on the market cost more than $800. 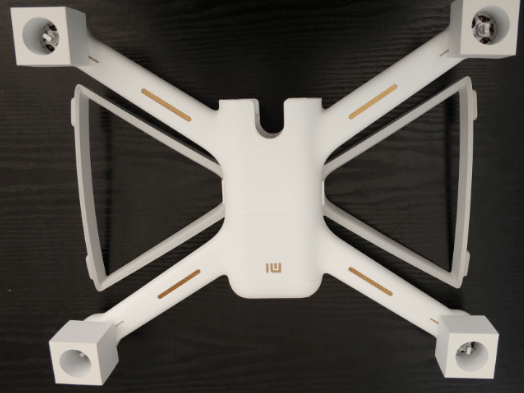 Below, we are going to review the Xiaomi Mi 4K Drone; an affordable option compared to the competition, not just for professionals, but also for every other use. 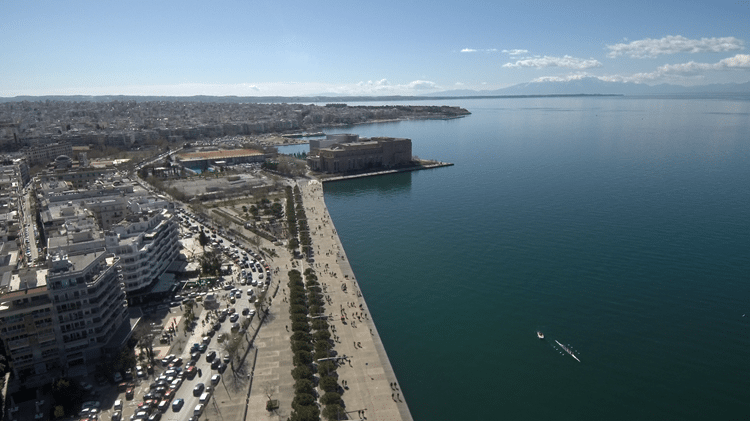 Do you like drone flights? 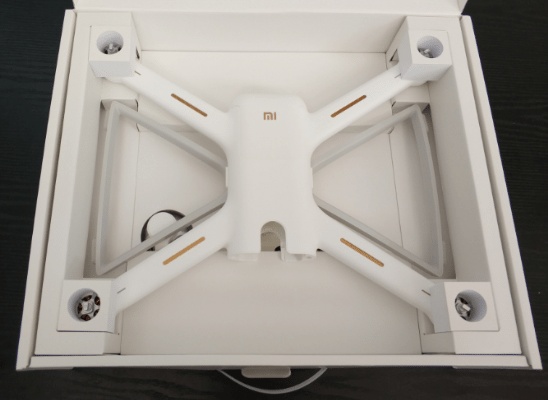 First of all, this is not the first, but Xiaomi 's second attempt to get into the drone market. 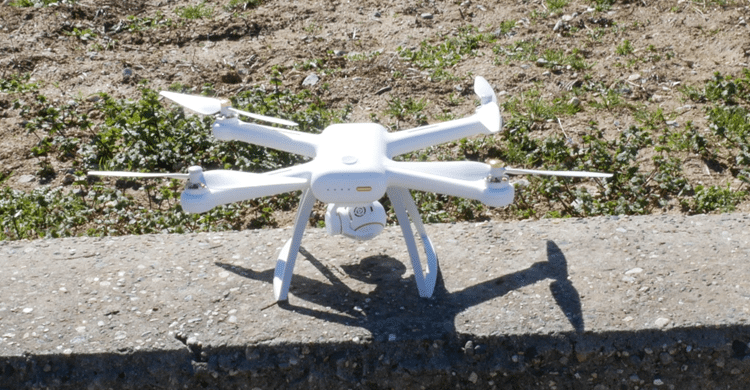 The company released its first drone in 2016 with a Full HD recording quality, which outwardly resembled that of today's review. However, the 4K model we’re going to see, in addition to the upgraded camera, incorporates several more improvements. 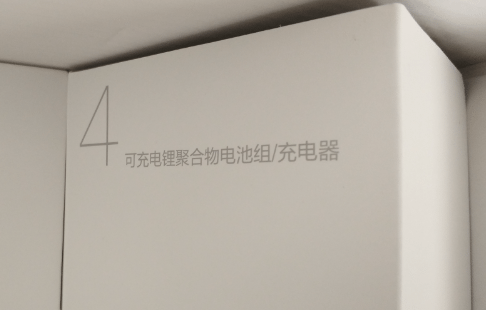 Let's look at some of the features of the Xiaomi Mi 4K Drone. First, it has automatic landing and take-off, as well as specific programmable flight profiles. 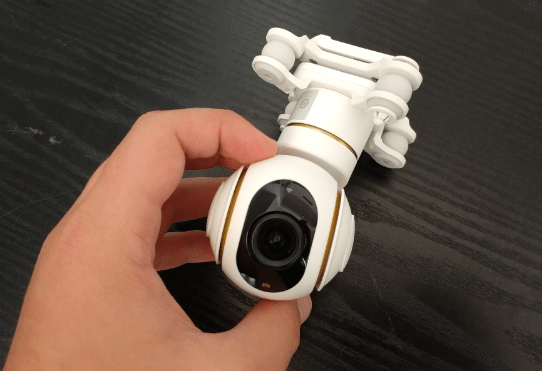 As far as the camera is concerned, the Xiaomi Mi 4K Drone is capable of taking pictures and videos of up to 4K at 30 FPS. Also, the camera has a three-axis gimbal, which we can operate remotely. The company claims that a good flight experience comes hand in hand with the right aerodynamics they provide, combined with the weight of the drone. 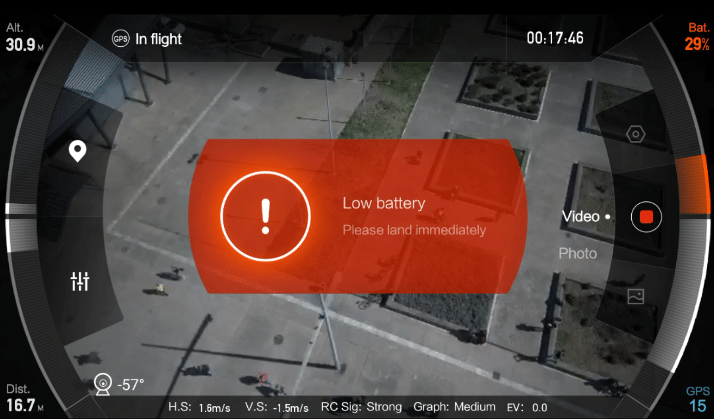 Moreover, the battery is capable of a 27-minute flight while recording video, which sounds quite impressive. Of course, this depends on the kind of recording, but also on external factors such as the wind conditions. As far as safety is concerned, it can avoid obstacles and return to home if needed. 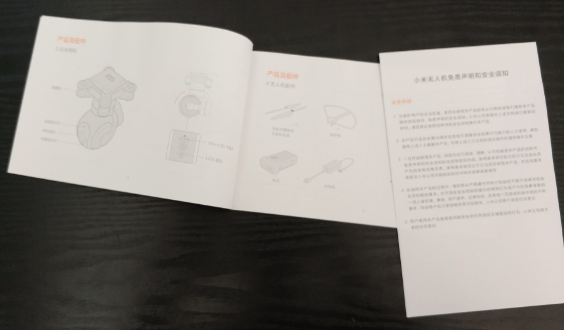 Finally, to do all this, the Xiaomi Mi 4K Drone is equipped with the right sensors, as well as the necessary GPS system. 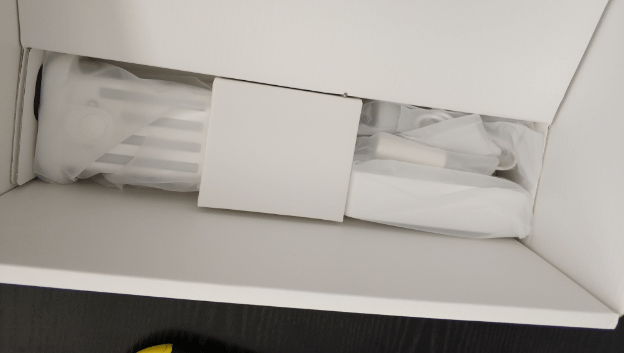 The drone came in a regular box. 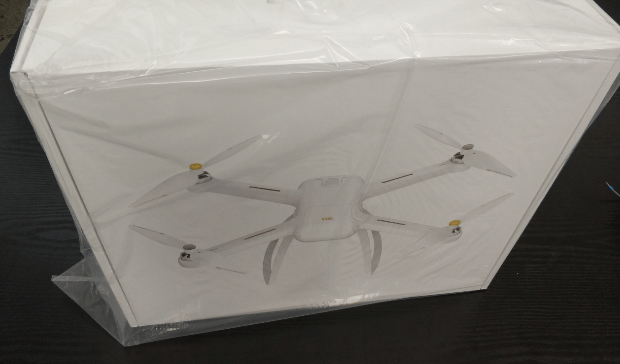 Inside the outer box, we found the drone’s package, placed in a plastic bag. 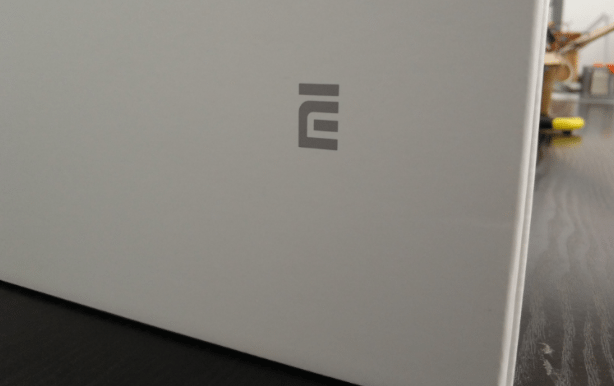 Xiaomi made sure that their logo is distinctive, as usual. But let's move to the box's contents. This is the main body of the drone. ...and the two-way switches at the side that lock the landing stands. The motors are fitted with special protectors. ...but mostly by the golden details on the grilles. 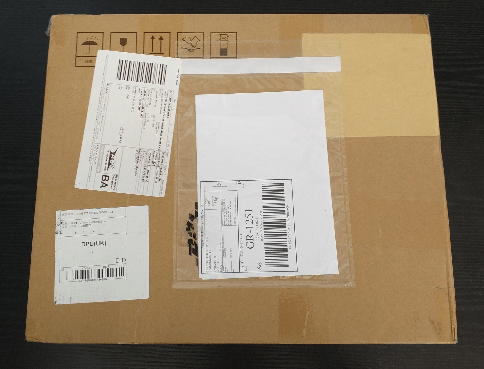 This is the first part of the premium unboxing experience. The second is hiding below. 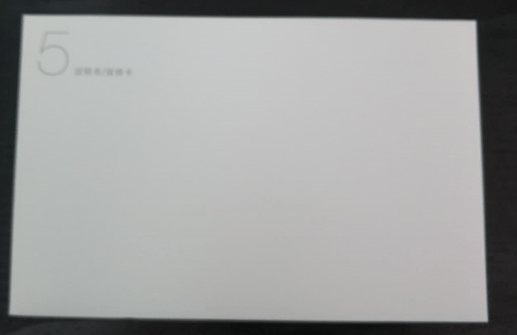 This file, as expected, is totally useless, since we don’t speak Chinese, and probably never will. ...located on the side of the packaging. 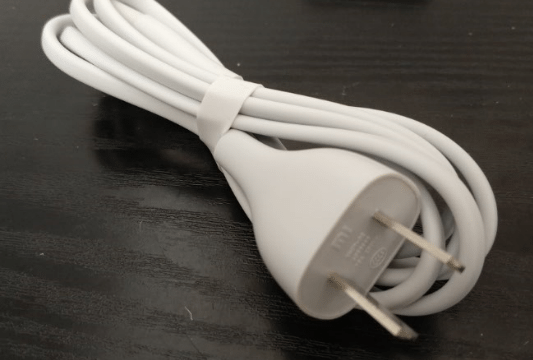 ...and a small sized micro USB cable to charge the Xiaomi Mi 4K Drone controller. Oh, yes! The one in box 3. 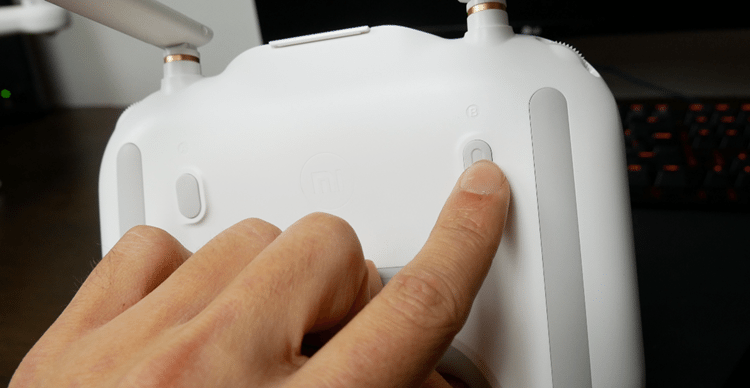 Looking at the controller, we can see that it has a holder for smartphones with adjustable height. The box also contains the camera with the gimbal. 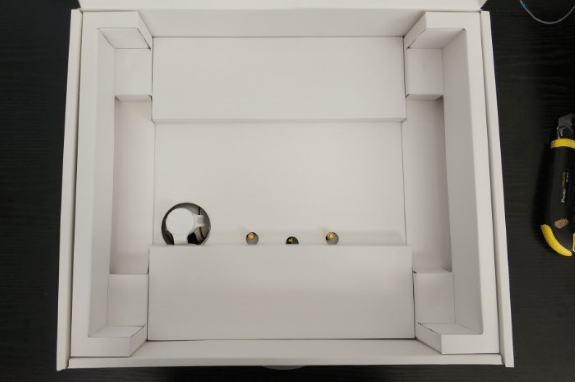 ...while on box number 1, we see the screws and a tool to screw them in with. 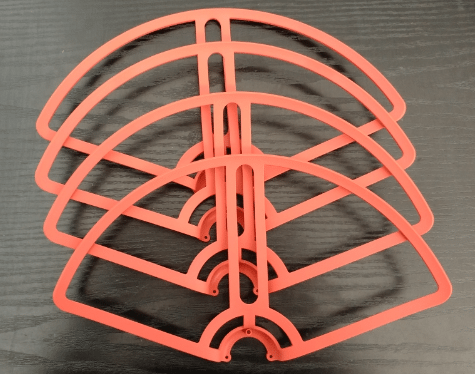 At this point, we have to mention that there are two versions of the drone; the cheaper does not include the propeller guards on the packaging. So, do not be surprised if any of the numbered boxes are empty. We will also find eight propellers. 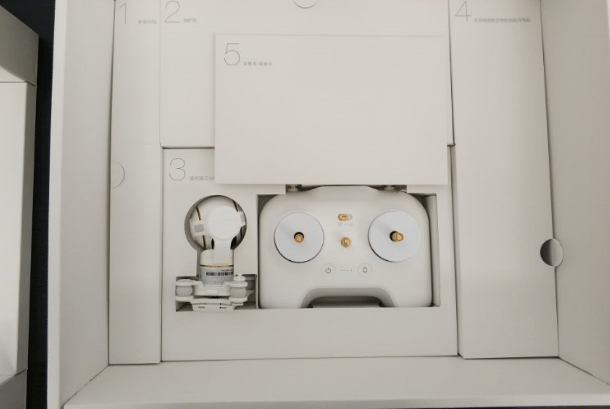 As we can see, the Xiaomi Mi 4K Drone is not an out of the box solution, but it comes in many pieces that we need to assemble. 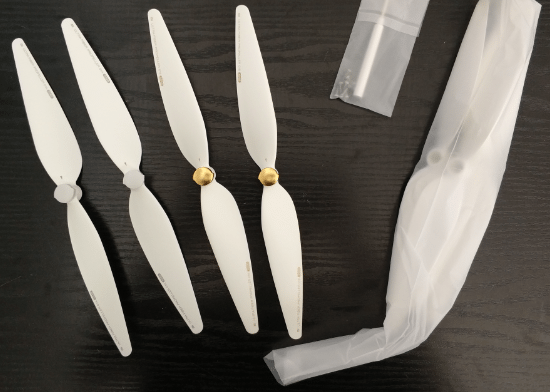 This is one of the most significant advantages of this model, as it allows us to easily replace any part that may break during our flights. Before we do anything, we need to take a look at the controller. 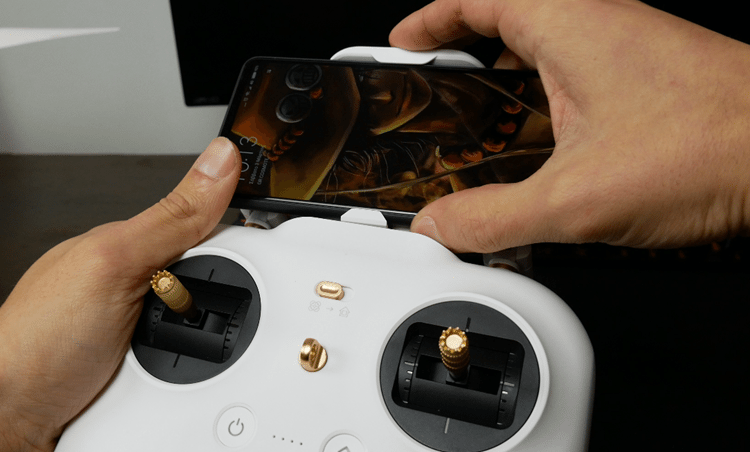 At the top, there is a special holder for our phone, so we do not need to have it glued in our hand while flying. It is very comfortable to hold, even for extended periods of time. The antennas are at the front, while at the top side there are two buttons; the classic On / Off switch, and the automatic landing and take-off button. 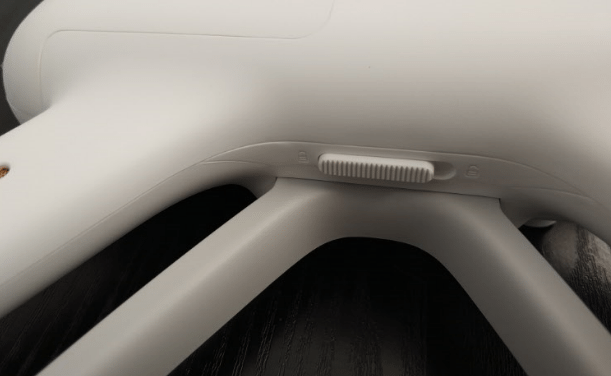 The left lever controls the height and rotation of the drone, while the right is for the drone’s movement to any direction. 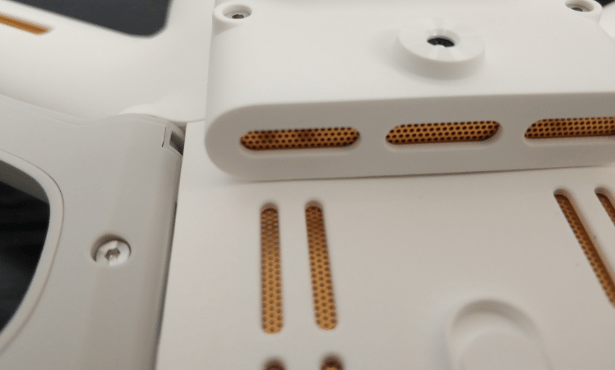 The button you see over the center is the RTH - Return To Home button. 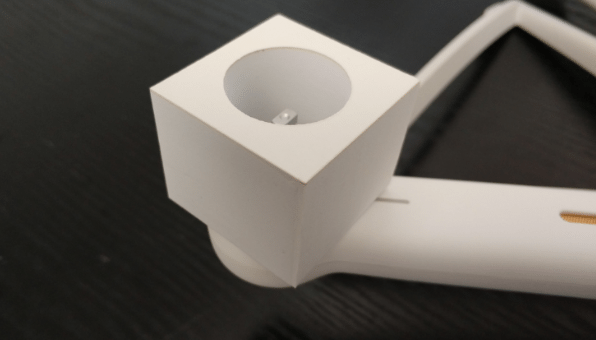 In the center, it has something that looks like a switch, but we soon realized it was a strap handle, giving us the ability to hang it around our neck. At the back, the controller has two wheels. On the left, we can control the motion of the camera. The right one can set the exposure of the camera, depending on how bright or dark the landscape is. Let's also say that beyond exposure, the application has other settings for brightness, contrast, and more. The last two buttons on the back are for taking photos and videos. To use the drone, we'll need to download the Mi Drone app from the Play Store. 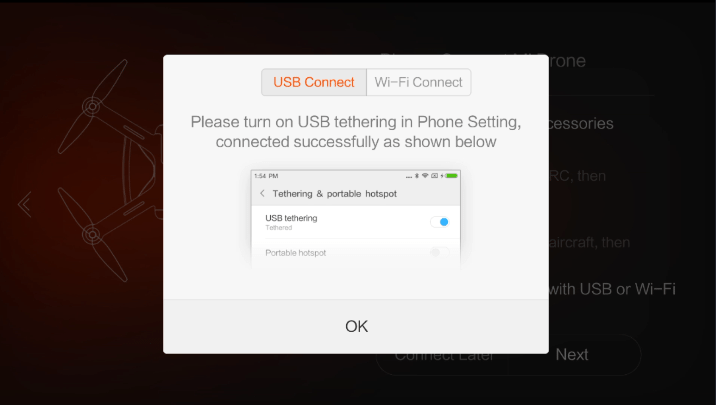 Then, we can connect our mobile phone to the WiFi controller with the special USB stick that comes in the box, or with the Micro USB cable. As soon as we make the connection, the app will find our location and present it in a beautiful flight simulation environment. As we can see in the picture, the app informs us about flight height, drone distance, video recording time, battery percentage, and more. 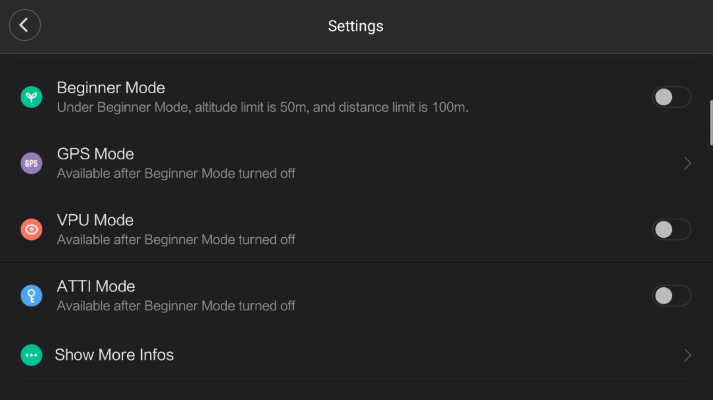 Also, it gives us some options to adjust the drone's course, camera settings, and so on. When we turn on the drone, we'll see the lights under the propellers turn on. 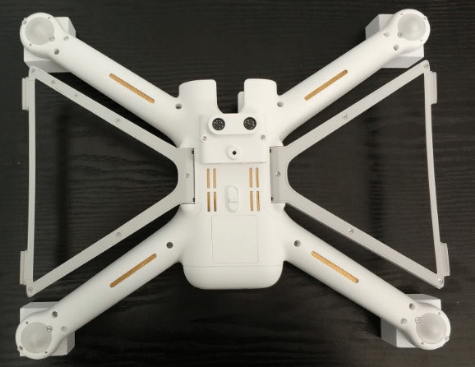 Also, the gimbal of the camera will stabilize, and it will do some diagnostic checks to update the software for the drone's status. On our first flight, we found it easy to handle the Mi 4K Drone, and we should mention it was our first drone flight ever. 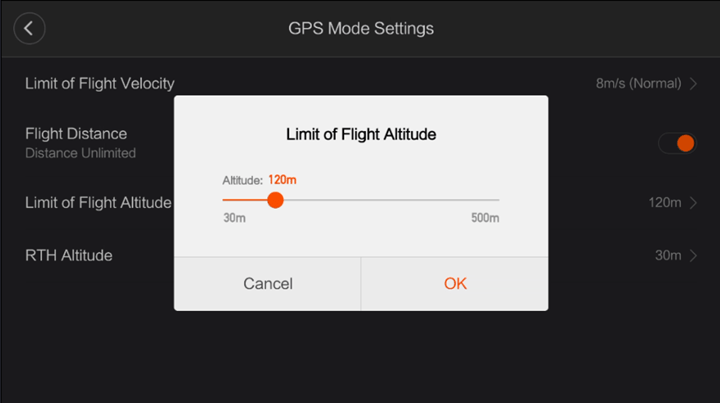 The Xiaomi application guided us step by step, and for the first three flights, we were not allowed to disable the beginner mode. 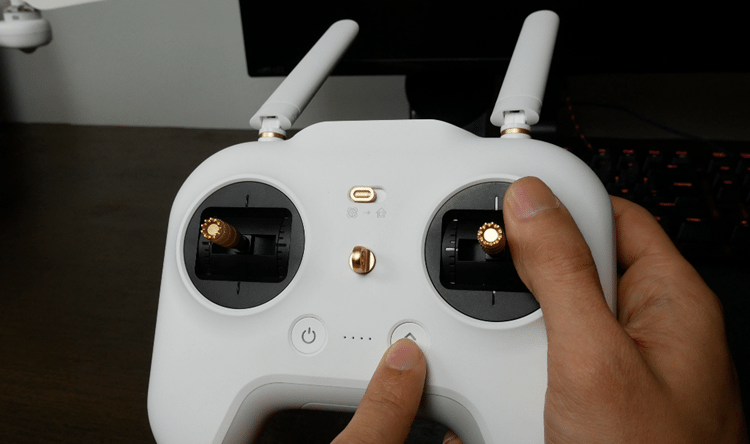 Additionally, the drone can take-off and land automatically if we press the respective buttons. If it has the settings to define the route we want it to perform, we do not even have to hold the controller. Did it lose the GPS signal? We can push RTH, and it will return. Did we crash it on a tree? Well, in that case, it won’t return by itself, so we wouldn’t recommend trying it. In the beginner mode, the Mi 4K Drone did not let us fly over 50 meters high, and regarding distance, it didn’t allow us to go too far. 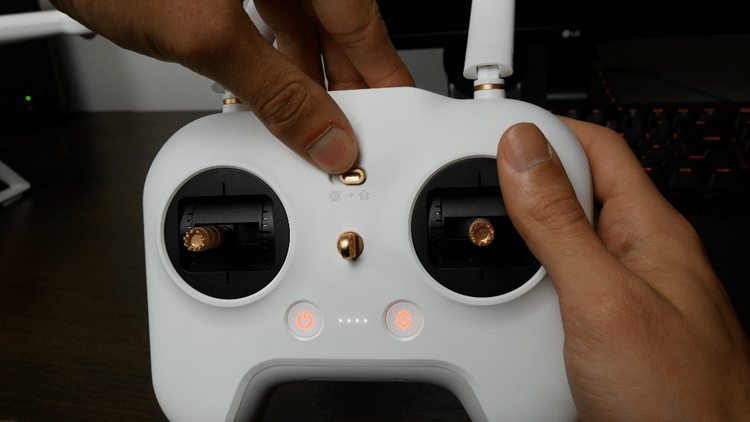 After the first three flights, however, and after we switched beginner mode off, we unlocked all its capabilities. The flight distance increased, we were able to set the altitude up to 500 meters, and we also noticed that the drone’s travel speed increased significantly. The total flight time with video recording is indeed close to half an hour, which is more than enough time for most uses. The camera can record 4K video at 30fps, and we recommend using this resolution for optimal results. 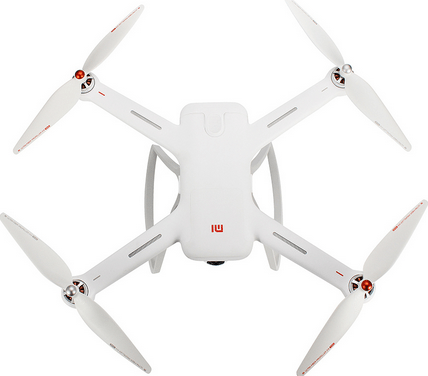 The Mi 4K Drone will need a microSD card to record our flights. 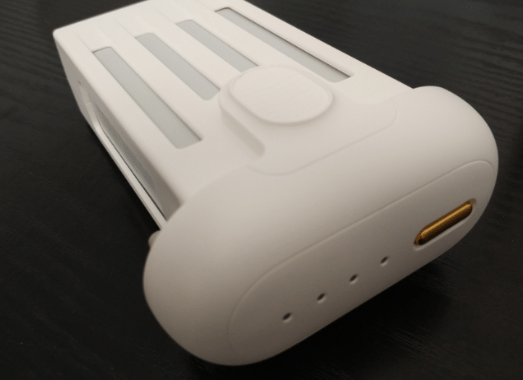 We used a 64GB microSD, and we were not able to fill it up with 4K video on a full flight. Thus, we believe that 32GB will suffice as well. 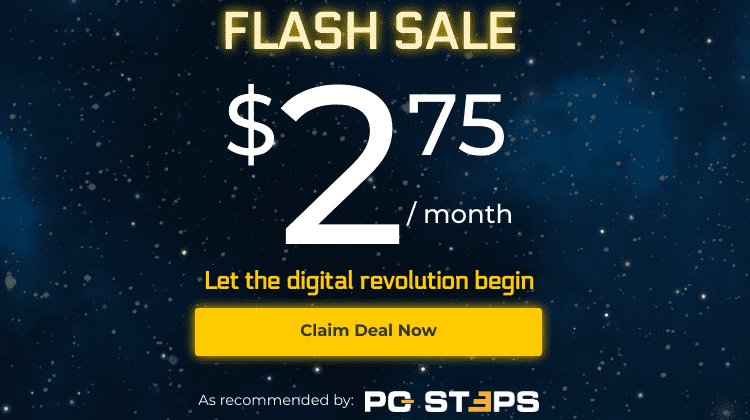 Let's note that we need to be careful when buying a microSD card. When it comes to 4K video recording, the card must have certain specifications. For more information, please read our step-by-step guide. At the time of recording, there’s an option to download the files straight to our smartphone. We found the camera stabilization to be incredibly useful. Our footage didn’t have any shaking, no matter how much windy it was. As for the quality of the video, it was certainly impressive. Especially in the right lighting conditions, the image is crystal clear, with vivid colors, and all the details anyone could ever ask for. However, in low light conditions, we can see some noise in the footage. 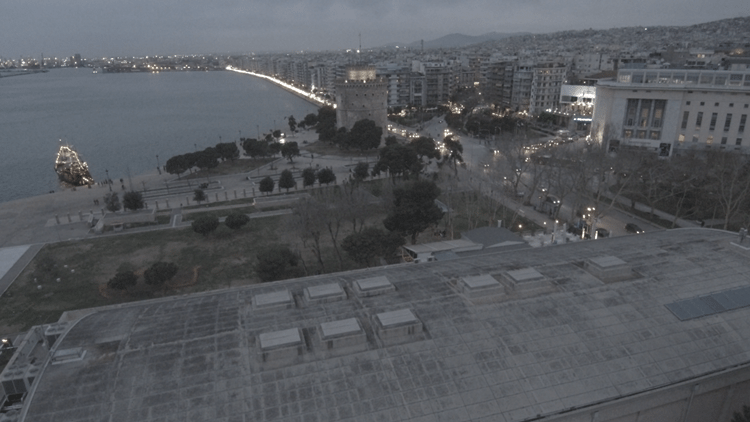 In the video below, we collected some shots from various lighting conditions, such as late in the evening, on a cloudy day, and on a sunny day. 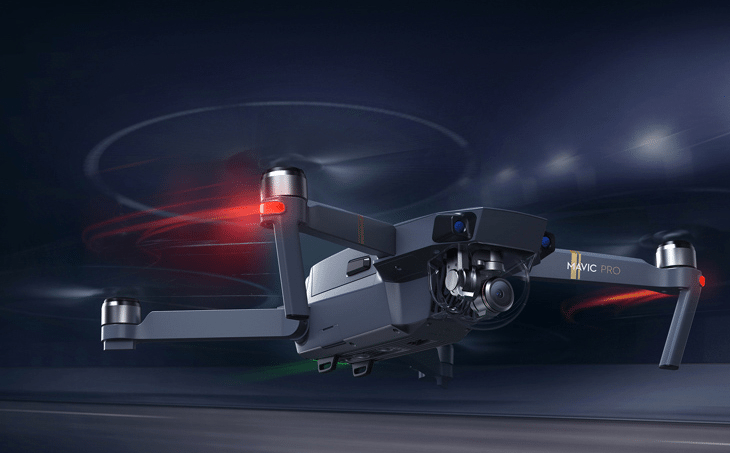 The Mi 4K Drone is considered to be one of the most VFM options for someone who wants a good drone, but does not want, or can not afford a more expensive DJI drone. 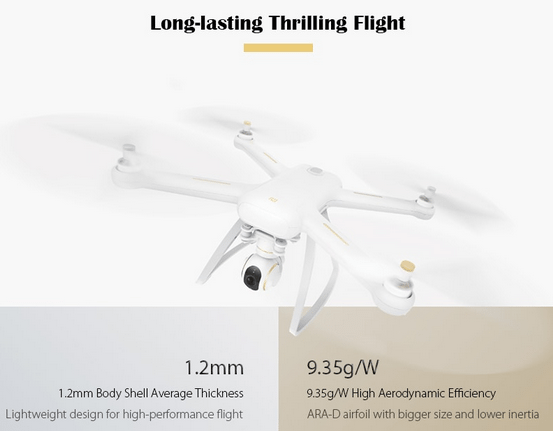 This particular drone costs around $480 on Gearbest. However, to get something better, we will need about double the money. 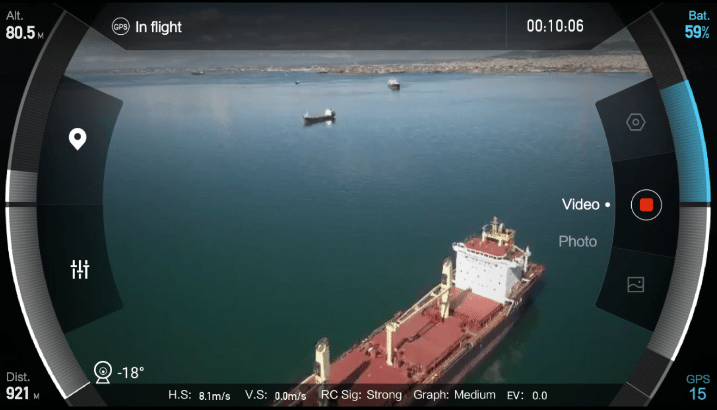 The Mi 4K Drone can be compared to more expensive solutions, and it performs outstandingly well. 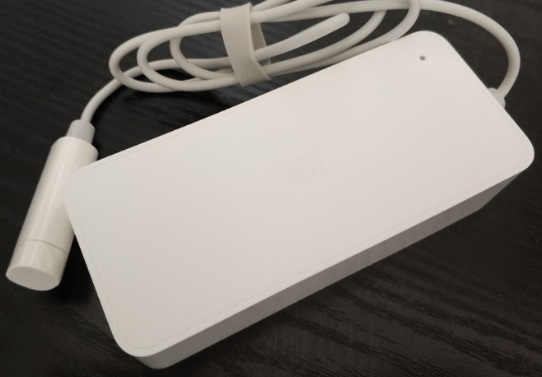 After all, Xiaomi is famous for its premium devices that come at a low price. 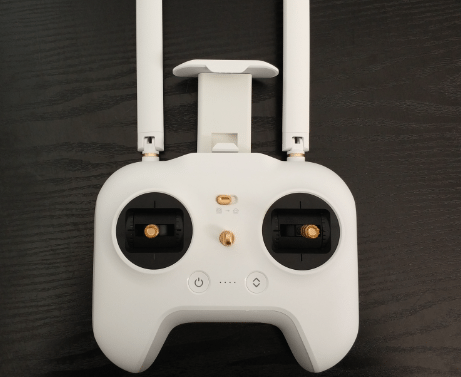 Thus, the drone’s quality is excellent, the design is beautiful, and it combines robustness with a lightweight material. 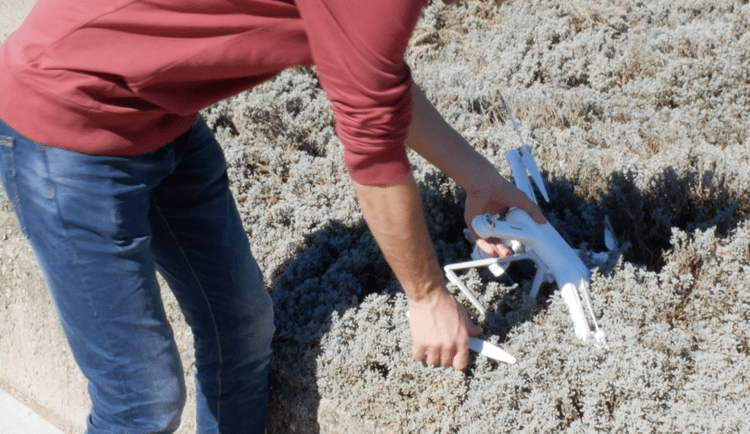 From the very first moment that we turned it on, the application updated several times, correcting various bugs in the camera and the stability of the drone. This shows that the company is interested in supporting its product with continuous upgrades, and does not abandon it with its problems. 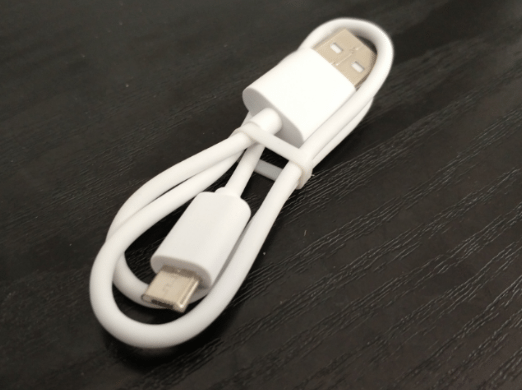 ...but at the same time, will help a user who is just now starting to learn how to handle such a device. Throughout our experience with the drone, we have not encountered any problems, and we strongly recommend it to every user. The truth is that flying a drone is a unique experience. 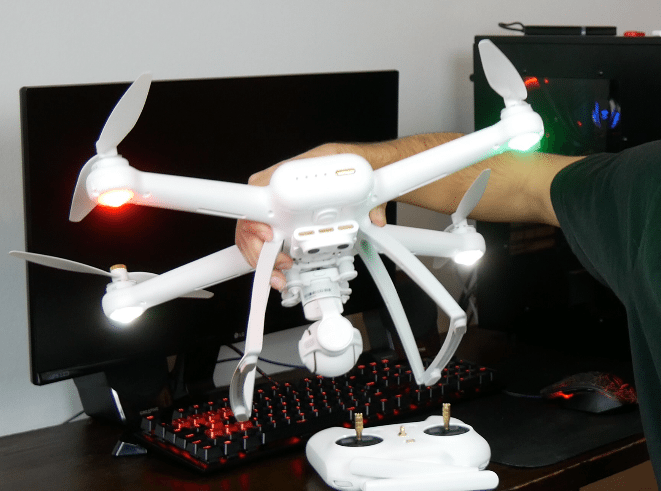 Would you like to see more drone reviews? 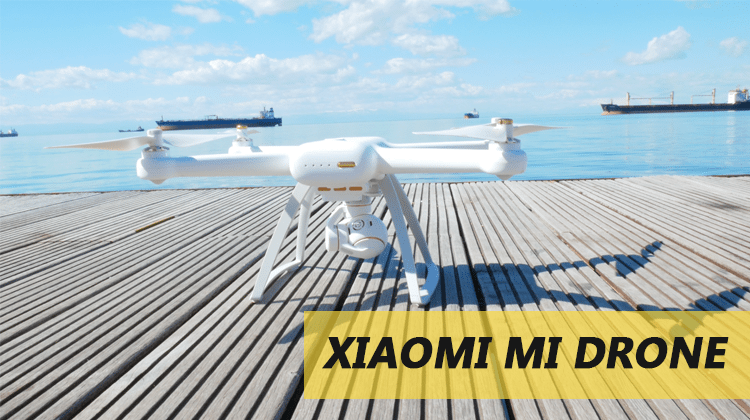 Did you like the Xiaomi Mi Drone?